General Description: Idaho Rocky Mountain Ranch​ offers living history of the Old West on their 900-acre ranch between the Sawtooth National Forest and Salmon Challis National Forest in the beautiful open country of Idaho. Explore unlimited opportunities for western adventure, with choices from hiking, horseback riding, mountain biking, fishing, whitewater rafting, and swimming in the natural hot springs outdoor pool. 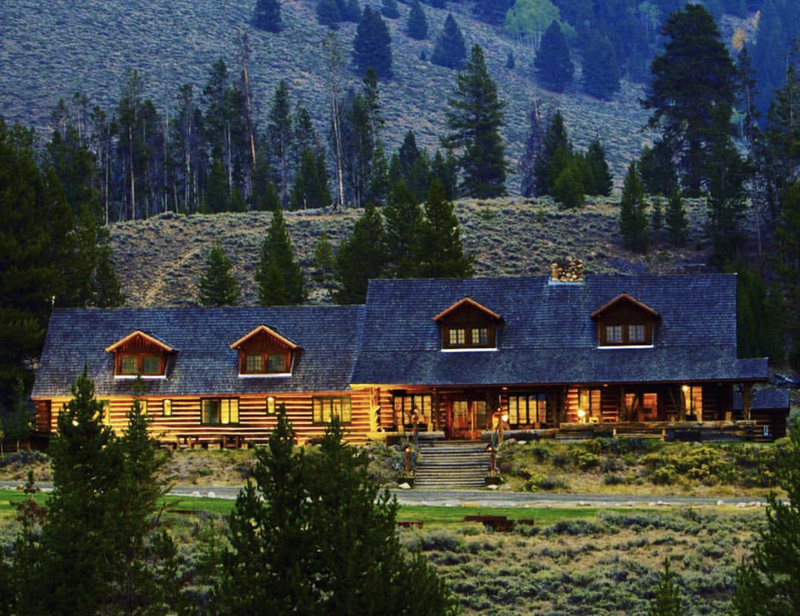 Idaho Rocky Mountain Ranch is a seasonal upscale hot spring ranch with accommodations that include all your food and drink. Location: From Sun Valley, Idaho is 50 miles or about an hour to drive to the hot springs. Accessibility: Idaho Rocky Mountain Ranch​ is open all year. Guests are welcomed in the summer season. You can drive up to the hot springs. The resort has limited handicap accessibility. 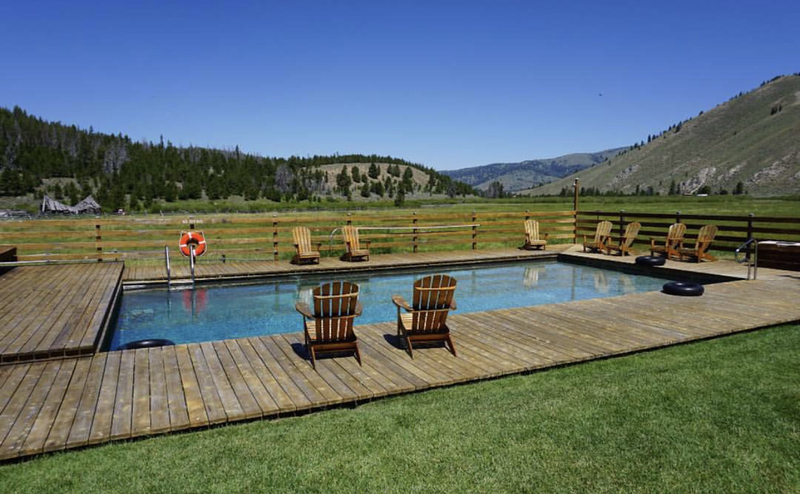 Hot Springs: ​Idaho Rocky Mountain Ranch has an outdoor hot spring pool. The temperature is about 99 degrees. The geothermal water is not treated. This is pure mineral water. Clothing is required. Hot Spring Tips: ​Idaho Rocky Mountain Ranch hot springs are for registered guests only. Breakfast, lunch and dinner is included with your accommodations. Choose your activities prior to or after your arrival, and create custom day adventures with the staff’s assistance. Choices include hiking, horseback riding, rock climbing, mountain biking, fishing, whitewater rafting, children's activities and soaking in the hot springs, of course. Off-duty staff members often are available for childcare. If you would like to plan an adults only activity during your stay, just ask and they can facilitate these arrangements. Talented local musicians entertain the guests on the porch. Clothing is not optional. Bring your bathing suit. The pool is not treated. The water is pure mineral water. This hot springs ranch is not pet friendly. Youtube Video on Idaho Rocky Mountain Ranch is below.